The Locking Wall Cabinet is designed to be used with the wall mounted sharps disposable system. It provides a touchless deposit of sharps. 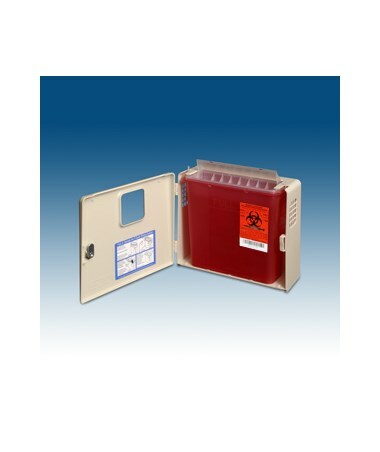 This system meets OSHA and Federal State requirements. 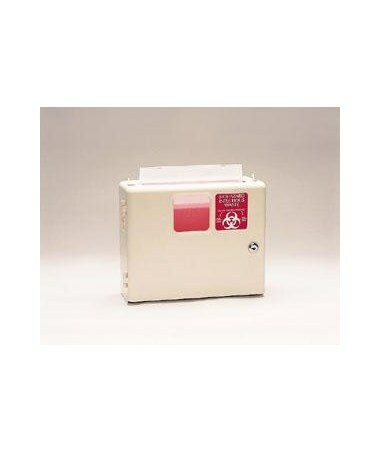 Sharps can also be manually dropped into the container using the actuating lever if necessary. 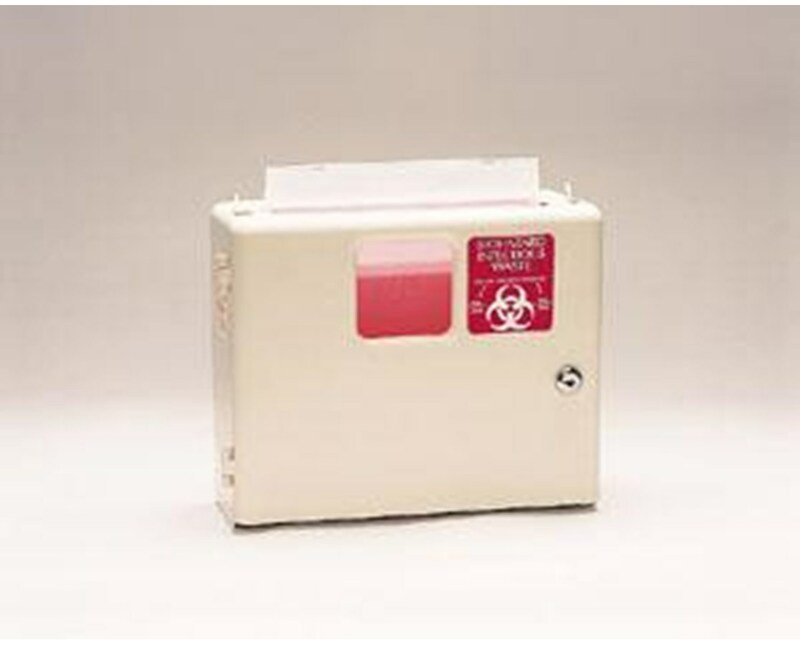 A glove box is available that can be attached to the wall cabinet.